AFD China Intellectual Property Law Office is a privately owned leading IP law firm based in Beijing, China, with a client-supporting team in Maryland, United States. Since its founding in 2002, AFD has provided premium services to clients around the world in all areas of IP law – including patents, trademarks, copyrights and domain names – and other legal areas in China. AFD also works with an established network of leading IP firms in other regions of the world to assist Chinese inventors and entities to file and prosecute patent and trademark applications and enforce their IP rights abroad. 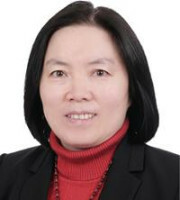 AFD provides a broad spectrum of services – including IP strategy, patent mining, patent drafting, IP filing and prosecution, freedom-to-operate analysis, validity or invalidity analysis, investigations, IP due diligence, dispute resolution and IP litigation – to strengthen and protect clients’ IP rights in China. In addition, AFD performs IP strategic analysis and crafts viable solutions to protect clients’ IP assets in China. AFD serves a diverse range of domestic and international corporations and individuals. The firm has been actively involved in domestic and foreign-related matters and is a top-tier IP firm in the statistics of annual filings of Chinese invention patent applications, Patent Cooperation Treaty international applications and overseas patent applications for domestic clients. AFD has over 250 employees. Two-thirds of the professional team are patent and trademark practitioners and attorneys at law. Many of the firm’s attorneys studied abroad and have advanced degrees in various technical fields, as well as extensive industry experience. In addition, some of its attorneys have years of experience working as patent examiners in the China Patent Office. Its professionals work closely as a team by leveraging diversified skills and talents to address complex and challenging IP issues in cost-effective ways. AFD is committed to delivering premium IP services with a high level of professionalism and care. Its practice is distinguished by creative mindsets and effective approaches. AFD provides comprehensive, forward-thinking advice at each step of the prosecution or litigation process. Soon after filing a patent application, it provides recommendations on how to tailor the application to comply with Chinese patent law and pre-empt patentability objections. On receiving examination opinions from the Trademark Office, it provides comprehensive analyses, rather than simply forwarding the original opinions to clients. AFD utilises every possible opportunity during the course of the prosecution process to advance clients’ cases. The attorneys at AFD stay up to date with the latest changes in their respective areas of IP practice. They promptly communicate with clients in regard to changes to governmental, statutory and regulatory laws and regulations, examination guidelines and specific handlings. AFD informs clients of important new developments through newsletters and alerts. AFD also regularly organises seminars and workshops for clients on the latest developments relevant to their interests. AFD offers value-added services such as foreign patent and trademark application support, licensing and exploration, counselling services, right-to-use and validity opinions, due diligence and docketing and monitoring. It is willing to go beyond what most patent and trademark attorneys will do. AFD has maintained a mandatory quality control policy that applies to all filings, opinion letters and litigation filings. A two-step inspection is adopted at every key point to ensure consistency, accuracy, reliability and compliance. Its quality control also includes a complete set of control procedures, such as problem finding, training, watching, auditing, retraining, rewatching and re-auditing. AFD has a reputation for tackling difficult cases and defending clients in complex situations. Its practices are not limited to verbatim interpretations of the law or conventional operations, but are rooted in getting to the crux of the problem and creating out-of-the-box, innovative solutions.